Ebola will be the next pendemic ? 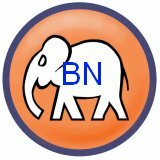 I am pessimistic to believe Eboloa can be controlled and contained like SARS in Asia. My forecast is the contagion disease will be spread to every part of the world in less than a year time. 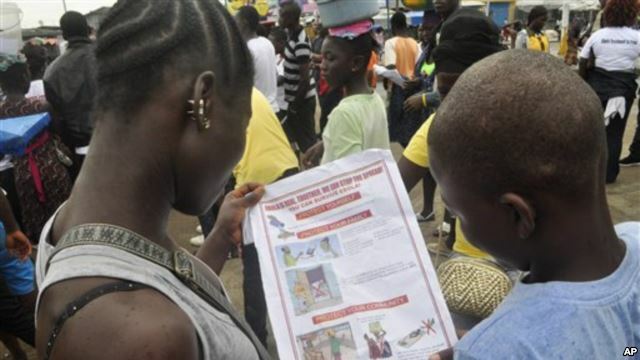 Liberian children read a leaflet with guidelines to protect the community from the Ebola virus, in Monrovia, Liberia. Monday, Oct. 13, 2014. A World Health Organization official has said there could be up to 10,000 new cases of Ebola per week within two months. WHO assistant director-general Dr. Bruce Aylward said if the response to the Ebola crisis isn’t stepped up within 60 days, “a lot more people will die”. Aylward said for the last four weeks, there have been about 1,000 new cases per week, though that figure includes suspected, confirmed and probable cases. He added that WHO is aiming to have 70 per cent of the cases isolated within two months to reverse the outbreak. WHO increased its Ebola death toll tally to 4,447, nearly all of them in West Africa. The group said the number of probable and suspected cases was 8,914. The agency was still focused on trying to treat Ebola patients, despite the huge demands on the broken health systems in West Africa, he said. “It would be horrifically unethical to say that we’re just going to isolate people,” he said, noting that new strategies like handing out protective equipment to families and setting up basic clinics without much treatment was a priority.